I nipped over to the pub this evening, and stopped for a chat with a couple who have a whippet/lurcher that Piglet sometimes talks to. Anyone who’s read my blog or website for a while has probably noticed that I’m fascinated by ghosties and ghoulies and all things supernatural. I’ve never knowingly seen a ghost but I believe they exist, and I believe that animals are sensitive to them. When I moved to this old cottage a few months ago I took great comfort in the fact that neither Piglet nor Puss-Puss showed any sign of nervousness, and the three of us have slept happily together in the dark attic ever since. In our village there’s a little walk that Piglet and I sometimes take if we want a short stroll before we get into our pyjamas. Approached from this side it takes us up a short hill, and then along a dark, ancient passage. The ground to the left of the passage drops to the river, and to the right is sparsely wooded hillside. Both sides are bounded by a mixture of old railings and stone walls. At the other end of the passage–a distance of no more than a couple of hundred yards–is a bridge, and after crossing the bridge we generally turn left and descend along a narrow, winding road past a couple of cottages and some allotments to the village, and make our way back home. The whole thing takes no more than 10 minutes, or possibly 15 if Piglet finds a lot of interesting things to sniff at in the undergrowth. I’m told that in the distant past villagers used the passage as a short-cut to the mill at which many of them worked. This evening Piglet and I made our way as usual through the village, and climbed the little hill. We arrived at the passage and I entered it, passing an old bollard which blocks entry to any person daft enough to try to take a car up there. I was listening to an audiobook, and so I wasn’t aware that Piglet wasn’t following until a tug on her extending lead alerted me to the fact that she’d stopped moving. I imagined she’d just stopped to sniff at something, but when I turned round I saw that she was standing next to the wall at the entrance to the passage looking over at me. I pulled, but she braced her legs against the ground and refused to move forward. I was very surprised, as I’d been out all afternoon with friends and I’d expected Piglet to be desperate for a walk. I pulled a little harder, but Piglet refused to be budged. As far as I could see there was nothing there that could have spooked her. I was wearing a head torch, because the ground along the passage is quite uneven and can be hazardous in the dark. I switched the torch on and peered into the gloom, but there was nothing to be seen. I didn’t want to drag Piglet along, and so I turned round and we went back down the hill. Piglet was immediately happy again, and dashed along ahead of me. I was very curious about what had caused her to stop, though, and so I decided that we’d approach the passage from the other direction in order to see what would happen. We walked through the village, turned right after the bottom bridge and began to make our way up the road that leads to the upper bridge and the passage. Piglet was still rushing on ahead, but by then I was a little spooked myself. It wasn’t late, but it was very dark. I switched the torch on again but it made virtually no impression on the inky blackness. Everywhere seemed much quieter than usual, and as we grew closer to the bridge I felt my cunning plan grow less appealing by the second. Eventually I decided that discretion was the better part of valour, and wimped out. Piglet and I turned round again, and set off for home. A few minutes later we once again passed the road that leads up the little hill to the start of the passage, and I decided to try it again. There are street lights in that part of the village, and so I wasn’t as frightened as I had been when passing the dark and shadowy allotments a few minutes earlier. Once again Piglet trotted happily up the hill behind me, but again she stopped as she approached the bollard and refused to go any further, despite a couple of tugs on her lead. I gave up at that point, and we went home. I do know, though, that an elderly woman who lives in the village told me that she regularly walked her dog through the churchyard, until her husband died. Her husband was buried in the churchyard, and from that date onwards the dog adamantly refused to go in. Piglet and I walked through the churchyard on our way through the village this evening, and all Piglet was interested in there was the possibility of rabbits. I enjoy listening to audiobooks, and one I bought a few years ago is High: Stories of Survival from Everest and K2, by Matt Dickinson, Chirs Bonington, David Roberts and others. When winter arrives, and the weather grows icy, my thoughts always turn to the exciting prospect of getting out into the crispy-cold hills with my tent, and while I’m out there I like to listen to books like this, which tend to put my aches, pains and minor battles with our wintery weather into some kind of perspective. 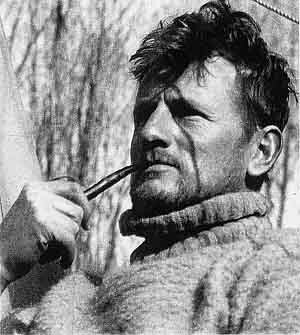 Anyhoo… the most interesting things in this whole book, for me, are the following two passages by Frank Smythe (1900-1949: a British mountaineer, author, photographer, botanist and Army Colonel) from Camp 6: An Account of the 1933 Mount Everest Expedition. The second of these passages is one of the most interesting accounts of something inexplicable that I’ve ever read (which is saying quite a lot!) If you listen to the book you can find the passages at 3:46:46 and 3:50:48 respectively. “And now I must relate the curious incident described in Everest 1933. After leaving Eric a strange feeling possessed me that I was accompanied by another. I have already mentioned a feeling of detachment, in which it seemed as though I stood aside and watched myself. Once before during a fall in the Dolomites I’d had the same feeling, and it is not an uncommon experience with mountaineers who have a long fall. It may be that the feeling that I was accompanied was due to this, which, in its turn, was due to lack of oxygen and the mental and physical stress of climbing alone at a great altitude. I do not offer this as an explanation but merely as a suggestion. This ‘presence’ was strong, and friendly. In its company I could not feel lonely; neither could I come to any harm. It was always there to sustain me on my solitary climb up the snow-covered slabs. “The climbing was simple enough at first, but presently became more difficult. Instead of the easy slabs that had led us upwards from the camp to the foot of the first step I found myself on a series of narrow, outward sloping ledges separated by abrupt little walls. These ledges were never continuous for long, and it was necessary when one petered out to descend to another. However, I could still afford to lose height without descending below the level of Camp 6. This route took me across the band some distance below the place where Wyn and Waggers found the ice axe, but I did not see any further traces of Mallory and Irvine. I remember glancing down at a wide, gently sloping expanse of snow, screes and broken rocks below the band and thinking that if the ice axe indeed marked the point where they slipped it was possible that their bodies might have come to rest there. Some of the ledges were wider than others and I paused to rest at intervals. It was during one of these halts that I was startled to observe an extraordinary phenomenon. Chancing to look over the North East shoulder, now directly in front of me, I saw two dark objects in the sky. In shape they resembled kite balloons, and my first reaction was to wonder what on earth kite balloons could be doing near Everest–a certain proof that lack of oxygen had impaired my mental faculties–but a moment later I recognised this as an absurd thought. At the same time I was very puzzled. The objects were black and silhouetted sharply against the sky, or possibly a background of cloud: my memory is not clear at this point. They were bulbous in shape, and one possessed what looked like squat, under-developed wings whilst the other had a beak-like protuberance like the spout of a tea kettle. But what was most weird about them was that they distinctly pulsated with an in-and-out motion as though they possessed some horrible quality of life. One interesting point is that these pulsations were much slower than my own heart beats. Of this I am certain, and I mention it in view of a suggestion put forward, afterwards, that it was an optical illusion and that the apparent pulsations synchronised with my pulse rate. After my first reaction of ‘kite balloons’ my brain seemed to function normally, and so interested was I that, believing them to be fantasies of my imagination, I deliberately put myself to a series of mental tests. First of all I looked away. The objects did not follow my vision, but when my gaze returned to the North East shoulder they were still hovering there. I looked away again and, by way of a more exacting mental test, identified by name a number of peaks, valleys and glaciers. I found no difficulty in X, Y and the Rombuk Glacier [X and Y are things I’ve no idea how to spell], but when I again looked back the objects were in precisely the same position. “Nothing was to be gained by further examination, and, tired as I was with the apparently endless succession of slabs, I decided to carry on to Camp 6. I was just starting off when a mist, forming suddenly, began to drift across the North East shoulder. Gradually the objects disappeared behind it. Soon they were vague shadows. Then, as the mist thickened, they disappeared altogether. The mist only lasted a few seconds, then melted away. I expected to see the objects again but they were no longer there. They had disappeared as mysteriously as they came. I think those of us who’ve applied must now be only a day or two from news of our applications for the TGO Challenge next year.